Pure fire from Analog Africa. 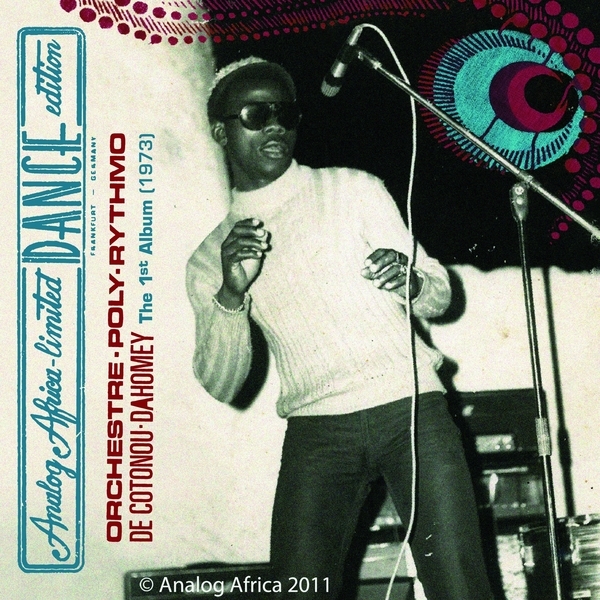 Whether you're a connoisseur of West African music or a complete newcomer, know that this 1973 recording from Orchestre Poly-Rythmo De Cotonou (try spelling that when you're drunk) is as vitally raw and psychedelic as it gets. Long regarded as Benin's most innovative outfit, OP-R (as we'll call 'em from here on in) have featured on numerous previous Analog Africa releases, but this is the very first airing of some of their most classic, foundational material. Working with the traditional rhythms of Vodoun and injecting some well-judged Western, Latin and of course modern African influences into its veins, the 16-strong band travelled to Lagos to record this set of heavy Afrobeat, entirely composed by Vincent Ahehehinnou (who left the band soon after). The recording was rejected by their then-record company due to some background noise issues; a second session took place soon after, and yielded the tracks which made it onto the super-rare "official" LP. Some 30 years later, Analog Africa foudner Samy Ben Redjab came across a test pressing of the rejected session, and has put together this definitive 4-track edition using two lovingly remastered tracks from the rejected session and two from the officially approved LP. The result is an invaluable, fascinating document of a truly unique band captured at the height of their fierce and freewheeling powers.